Integrated Components has a variety of equipment to handle your manufacturing needs including lathes. A lathe relies on a rotary movement to cut, sand, drill and perform many other operations on a workpiece. The workpiece remains stationary while a cutting tool fixed to a moveable mounting advances into the piece at precise angles to create the desired cut. At Integrated Components we use lathes to perform everything from the creation of simple tools to complex milling operations. With more than 60 years of manufacturing excellence, HwaCheon is the industry’s leading producer of machining technology. Despite its simple design, the HwaCheon turning lathe can produce intricately detailed parts and is considered a precision tool for a diverse range of industry work pieces. The DuraTurn series of lathes is an incredibly efficient, high performance system that delivers reliability and diverse functionality that allows Integrated Components to meet the needs of an ever changing machinery industry. 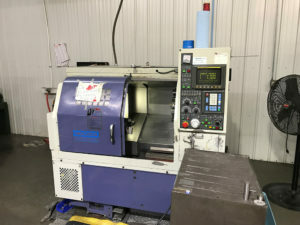 Complete with normal turning capacity as well as live-tooling holders, the Mori Seiki is used for the completion of secondary operations, including drilling cross holes, cutting slots, and milling hex heads on bolts. 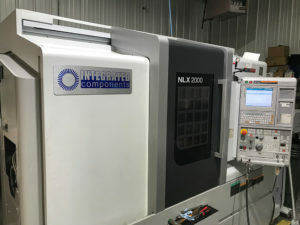 The NLX2000 model of the prestigious Mori Seiki line is capable of producing a diverse set of workpieces including everything from intricate machining pieces to automobile and aircraft parts. 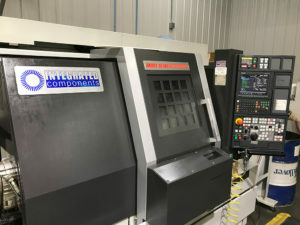 Complete with the latest in turning technology and conversational programming, this outstanding machine allows Integrated Components to make parts complete in one setup, saving time and production cost.